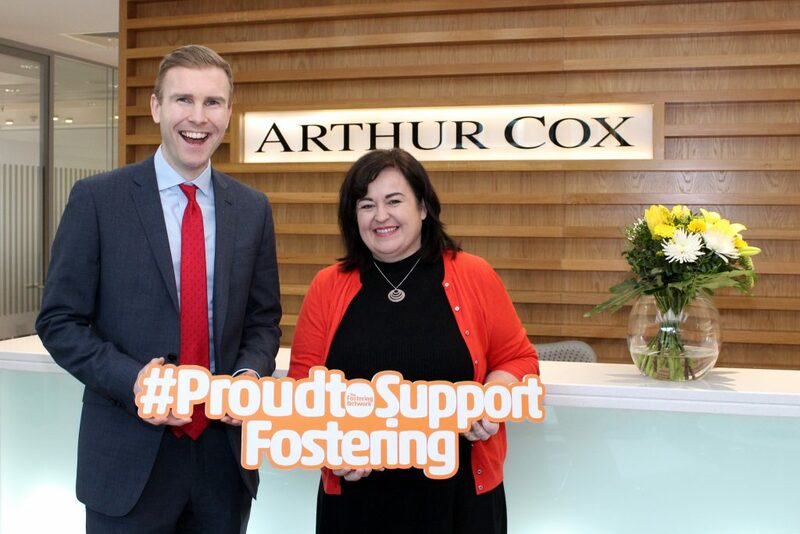 Leading law firm Arthur Cox has selected The Fostering Network in Northern Ireland as its charity partner for 2019, in a move that will see the firm’s employees take an active role in volunteering for the charity. The Fostering Network is the leading fostering charity in Northern Ireland, helping to support and transform the lives of children in foster care. The collaboration forms an important element of Arthur Cox’s wider Corporate Social Responsibility (CSR) programme. “We view a comprehensive CSR strategy, which is embedded into mainstream practices across our business, as vital to the well-being of our employees and the continuing success of the firm. “Some of our employees and associates have direct experience of the fostering environment in Northern Ireland and after meeting with The Fostering Network, we knew we could play an important role in support of the charity. “This partnership is about utilising the skills and expertise of our team, so we can volunteer with The Fostering Network, providing hands-on support in addition to fundraising. “Be that helping young people prepare for the work environment by assisting with the compilation of CVs, interview skills, or other areas where the charity believes we can add significant value. More than 2,200 children live with over 2,100 foster families across Northern Ireland each day. The Fostering Network estimates that at least 200 new foster families are required across Northern Ireland in 2019 alone. In particular, there is a real need to find foster carers for teenagers and sibling groups. “We are absolutely delighted that Arthur Cox has chosen us as their charity in Northern Ireland. Their support will help us as we seek to make foster care the very best it can be for fostered children and young people and the families that care for them. “As we welcome the Arthur Cox team to various events throughout the year, we’re looking forward to having the opportunity to share more with them about the transformational power of foster care.